My girlfriend and I will be visiting Ireland next summer (2018) and would like to plan a day trip from Dublin to Northern Ireland - on our own - in our rental car. We realize that Northern Ireland is considered a separate country so should we know anything in particular before we go? Obviously bring our passports, but anything else? Is it a rather simple border crossing by vehicle or will we need anything in particular? Any replies with information are helpful. Traveling from the Republic of Ireland into Northern Ireland is surprisingly easy to do, in fact, you may not even notice you have crossed the border. We have a page on our website regarding Traveling by Road that covers some of the finer points of the speed signs which you will need to be aware of and also carrying your driver's license with you at all times. There are no passport controls at the border, but you will still need to have that with you for traveling. 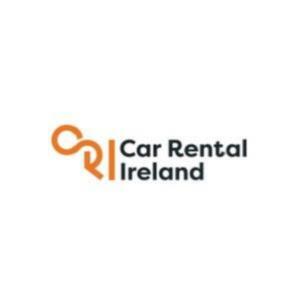 Renting a Car in Ireland is very easy and convenient to do and I would recommend renting in advance to ensure that you get the best possible offers. Be sure to mention that you intend to travel to the north as there are insurance considerations to take into account. 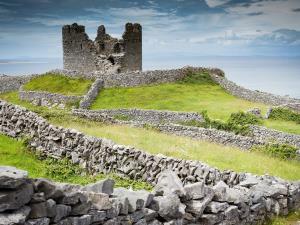 Have you decided on what you would like to see and do while you are in Northern Ireland? When travelling North from Dublin, why not consider visiting the beautiful City of Armagh? The area is a the perfect gateway to Northern Ireland. There are numerous attractions to visit, this is the Orchard of Ireland and is home to beautiful orchards set in rolling drumlins where you can see how the apple is grown before sampling some of our wonderful apple juices and award winning craft ciders. Armagh is a place of firsts, was Ulster's first capital, Emain Macha (Navan Fort) which tells the history and archaeology of Navan Fort which was the home of Queen Macha. Armagh Planetarium will take you on a journey through the starts and of course a visit to our wonderful City wouldn't be complete without a visit to both Cathedrals, dedicated to St Patrick. Sample our fine hostelries, or sample some mouth-watering local produce is one of our many restaurants lovingly prepared by our award winning chefs. Armagh is approx. 1.5 hours from Dublin, and is a perfect base for enjoying the rest of Northern Ireland and we are an hour from Fermanagh, 45 mins from Belfast, 1.5 hours from the North Coast and just 2 hours from the City of Derry/Londonderry. I hope this helps with your planning and I am sure you and your girlfriend will have a wonderful visit to our breath-taking Island. I wanted to check in with yourself to find out how your plans were coming along? There's a tremendous amount to see and get up to throughout Northern Ireland and it would be really great to hear where you are eager to explore and experience. Huge thanks to the Armagh City, Banbridge & Craigavon Council team for sharing their ideas and suggestions also - super helpful! As mentioned by Martin travelling to Northern Ireland is very simple. Northern Ireland is extremely beautiful full of green rolling countrysides. We would suggest renting a car, so you have the freedom to travel around and really get the most out of your trip. If you are a fan of Game of Thrones, you will be delighted to know that Northern Ireland is home to more of the Seven Kingdoms then anywhere else in the world. The beautiful thing about doing the Game of Thrones Location Drive is these spots aren’t only locations from the set but they are also some of the most scenic places Northern Ireland has to offer, so even if you aren't a fan of GoT this trip is certainly worth doing. Some of the locations such as the 'Dark Hedges' and 'Downhill Beach' are some of the most photographed spots in Northern Ireland. Another route worth hitting is The Gaints Causeway. The Causeways iconic route has been regarded as one of the world’s ultimate road trips by Lonely Planet. Giant’s Causeway Coast is a United Nations Educational, Scientific and Cultural Organization site (UNESCO) and more recently heavily associated with ‘Games of Thrones’ locations - so you might fit a little bit of both in. Starting from Belfast, you’ll hit the winding coastal road and journey through your way through scenic tourist attractions including Giant’s Causeway, Dunluce Castle, and Torr scenic road. We really hope you and your girlfriend enjoy your time here. From the team at Car Rental Ireland. Its great to hear that you and your girlfriend are planning to visit Northern Ireland in 2018. 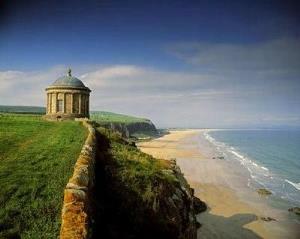 May I encourage you to explore the Causeway Coastal Route. This has been described as "one of the world's great road journeys" and stretches from Belfast all the way to Derry/Londonderry. The Causeway Coastal Route is also home to several of the locations in the HBO hit series Game of Thrones namely the Cushendun Caves, Ballintoy Harbour and Larrybane, as well as Downhill Beach, with the Dark Hedges being a short distance inland. I hope this is helpful as you plan how best to use your day in Northern Ireland. 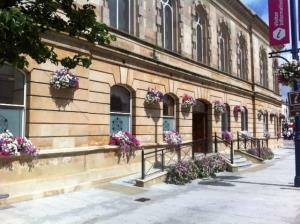 If we can be of further assistance, please contact Coleraine Visitor Information Centre. We haven't heard from you in a while. Did you already manage to see Northern Ireland? It would be really great to know more about your trip went as well as sharing some photographs you took during your time on the Emerald Isle.